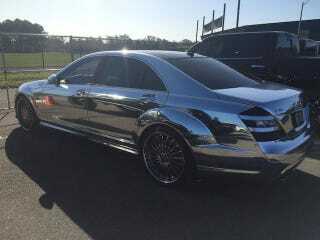 From Detroit Tigers beat writer Chris Iott comes this photo of pitcher Alfredo Simon's car. If I were still 11, I would swear this is one of the five coolest things I've ever seen in my life. Ah, who am I kidding? It's probably one of the five coolest things I've ever seen in my life.